BBC World Service - Weekend, How Quickly Can You Learn To Play Piano? How Quickly Can You Learn To Play Piano? 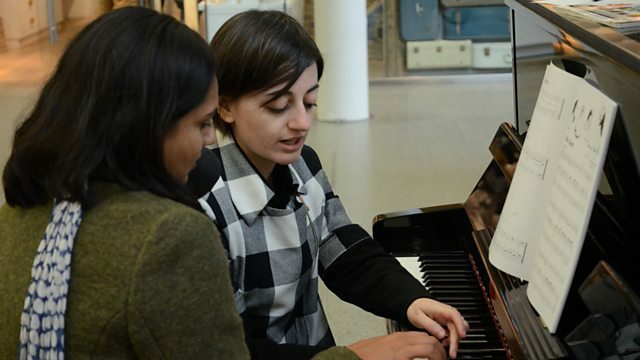 It's not everyday you get a free piano lesson during your lunch break, but that's exactly what Weekend's Anu Anand got to do this week, courtesy of one of London's top piano teachers. Barbara de Biasi is doing it to protest cuts in arts budgets in recent years. (Picture: Anu Anand and Barbara de Biasi. Credit: Mario de Biasi). What is a prepared piano?